A few times I park, get on the app only to show the kiosk I'll be dealing with is several streets away when there is one only 3 cars away. 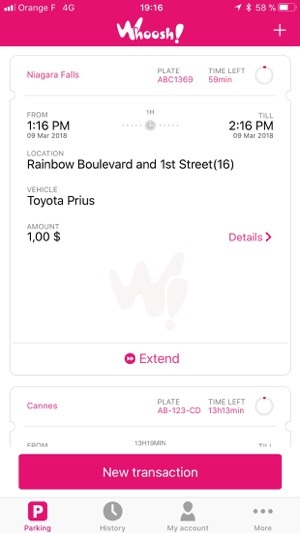 This has happened to friends and they've received tickets since the close by kiosk wasn't the one "assigned" to their car. Fortunately, they successfully fought the tickets since their Whoosh history showed they had purchased time. Company who owns Whoosh needs to work with the manufacturer of the kiosks to fine tune their location device. Other than that, I have had no problem with the app and prefer it over the credit card/kiosk usage. There’s a couple of simple adjustments that would make this app great. Number one on my list is transferring a ticket to a different location (NOT A REFUND). I accidentally overpaid at one location, and need to park somewhere else to get to my next class. 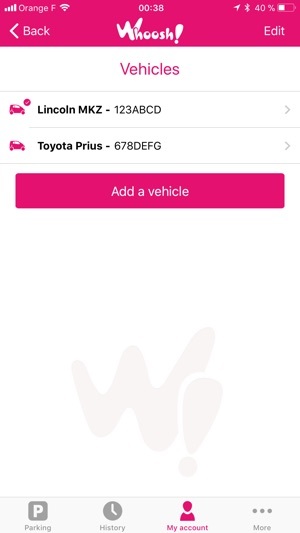 I’ll have to pay an extra $5 when I could just tell the app I’m moving my car. Just a thought! I don’t know how difficult that would be to accomplish, but it would be amazingly helpful. 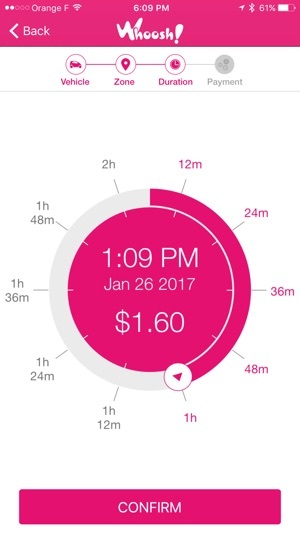 I use this app at least 2-3 times a week to pay for parking. 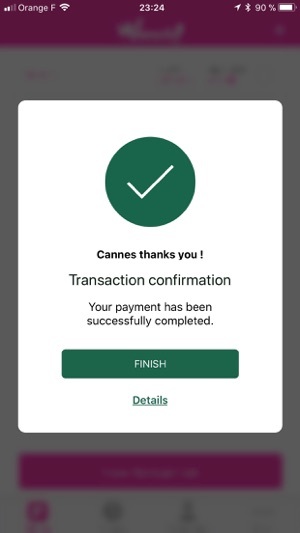 It always worked great until suddenly after the app update where Apple Pay was added, sometime around July 21, 2018 the app stopped accepting any of my payment cards including Apple Pay. This renders the app unusable. I emailed customer service a week ago and have yet to get a response.